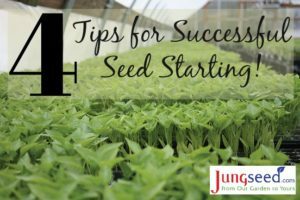 Using a high-quality media helps to ensure that the foundation for seed starting is consistent from year to year. Media that varies in its composition, fertility, or pH from bag to bag will lead to problems with germination and seedling quality that can be hard to pin down. For growing seedlings in small containers, a mix designed for seed starting is best. Seed starting mixes are more fine-textured than mixes designed for larger containers. A fine-textured mix makes moisture management easier in the small containers used for seedlings. 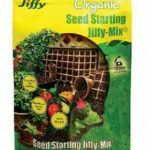 Jiffy Seed Starting Mix is an excellent, peat based mix that we recommend. For consistent success with heat loving crops, consider investing in heating mats which can be used to provide continual warm temperatures. Adding a thermostat to the heating system provides for additional levels of control. 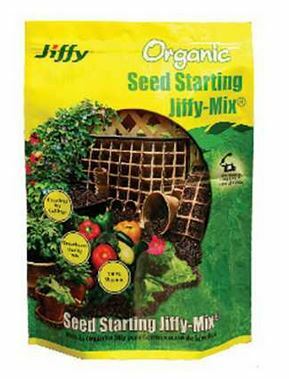 Many gardeners who grow their own seedlings have had problems with “damping off” disease. This problem can be caused by several different fungal diseases. The typical symptoms are stems that discolor and collapse at the soil line, with seedlings falling over and quickly dying. Although fungal diseases are associated with damping off, they are not the actual initial cause of the problem. These diseases primarily infect plant roots growing in an overly wet media. Water saturation of media reduces oxygen levels available to the roots, which causes slower growth and even death of the roots. Diseases then infect seedlings through the dead and dying roots. The best approach to avoiding damping off problems is to ensure that moisture levels in the growing media are maintained properly. Don’t allow trays to remain in standing water for more than 15 or 20 minutes. Avoid overwatering, and allow the media to dry out more between waterings as seedlings grow. This helps to promote strong root growth and will significantly reduce problems with damping off. 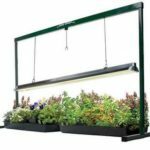 Although seedlings can be grown in a sunny window, increasing light levels with supplemental lighting will produce higher quality seedlings with more compact habit, sturdier stems, and deeper green color. 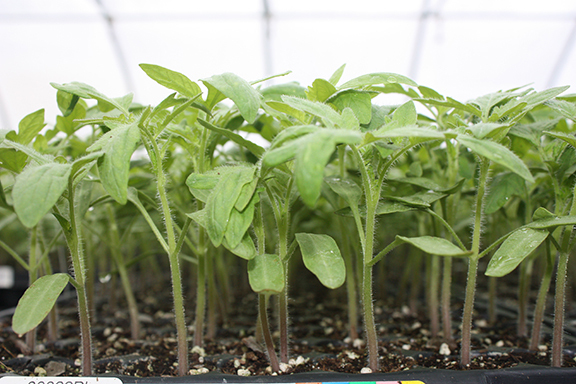 If your seedlings tend to be spindly, light green in color, and have weak stems that often flop, providing them with artificial lighting is an ideal way to improve seedling quality. 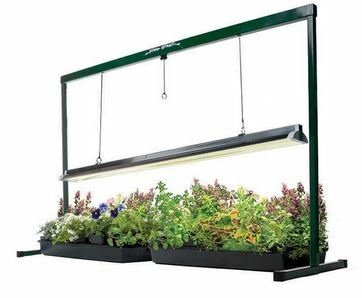 Lighting systems designed for starting seedlings using new, improved efficiency T-5 fluorescent lights can be adjusted in height to provide the ideal amount of light for growing seedlings. For optimal light levels, keep lights about 4 inches above the seedlings. Treating your seedlings with a beneficial microbial product like Actinovate before transplanting them to the garden can help to protect plants from diseases. The beneficial microorganisms colonize plant roots, providing natural disease protection, plus they also help plants efficiently absorb water and nutrients. Some types of growing media already contain beneficial biologicals.